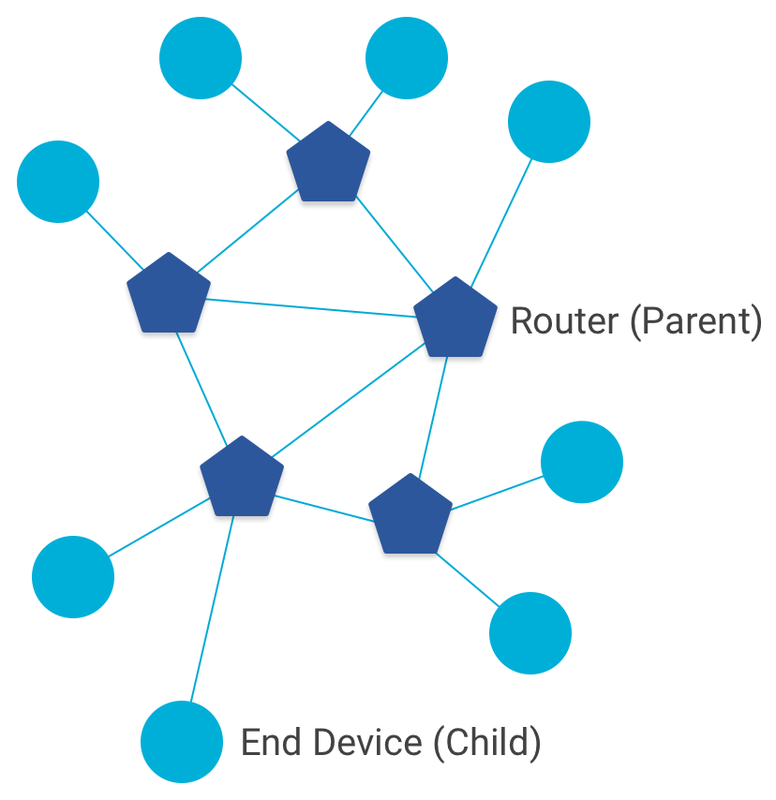 Key Point: The relationship between Router and End Device is a Parent-Child relationship. An End Device attaches to exactly one Router. The Router is always the Parent, the End Device the Child. 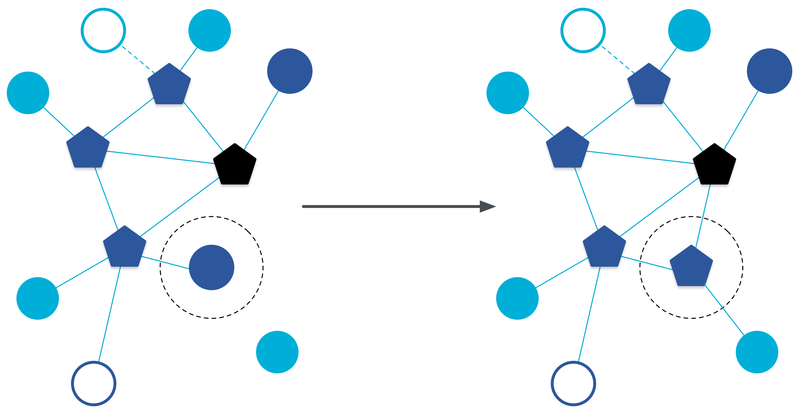 Furthermore, nodes comprise a number of types. An FTD can operate as a Router (Parent) or an End Device (Child). An MTD can only operate as an End Device (Child). 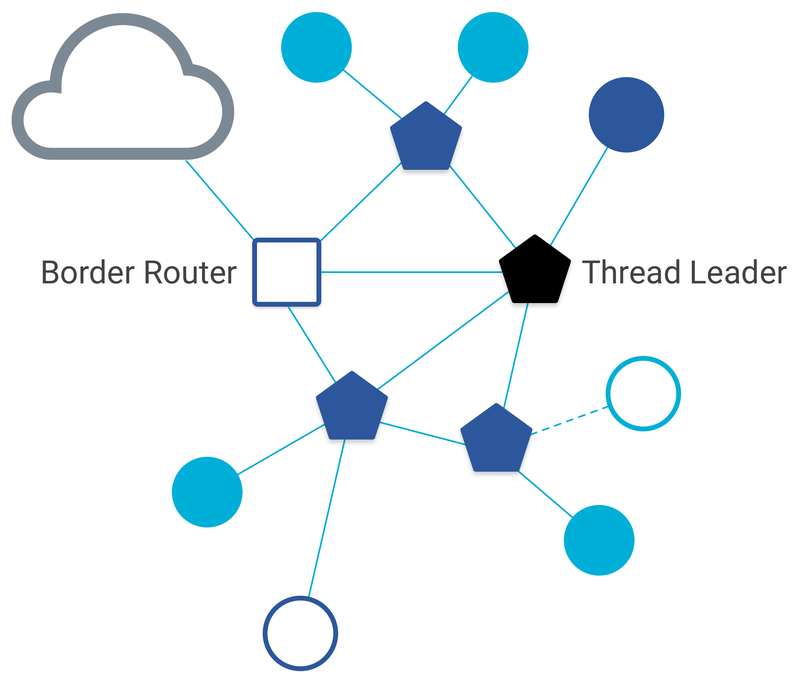 The Thread Leader is a Router that is responsible for managing the set of Routers in a Thread network. It is dynamically self-elected for fault tolerance, and aggregates and distributes network-wide configuration information. Note: There is always a single Leader in each Thread network partition. A Border Router is a device that can forward information between a Thread network and a non-Thread network (for example, Wi-Fi). It also configures a Thread network for external connectivity. Any device may serve as a Border Router. Note: There can be multiple Border Routers in a Thread network. A Thread network might be composed of partitions. This occurs when a group of Thread devices can no longer communicate with another group of Thread devices. Each partition logically operates as a distinct Thread network with its own Leader, Router ID assignments, and network data, while retaining the same security credentials for all devices across all partitions. 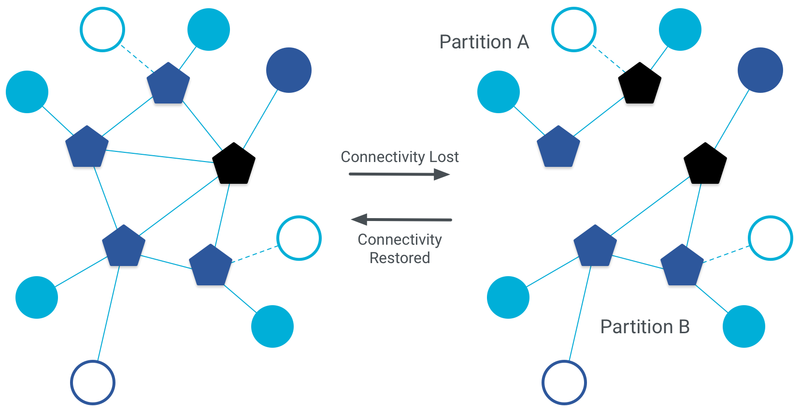 Partitions in a Thread network do not have wireless connectivity between each other, and if partitions regain connectivity, they automatically merge into a single partition. Key Point: Security credentials define the Thread network. 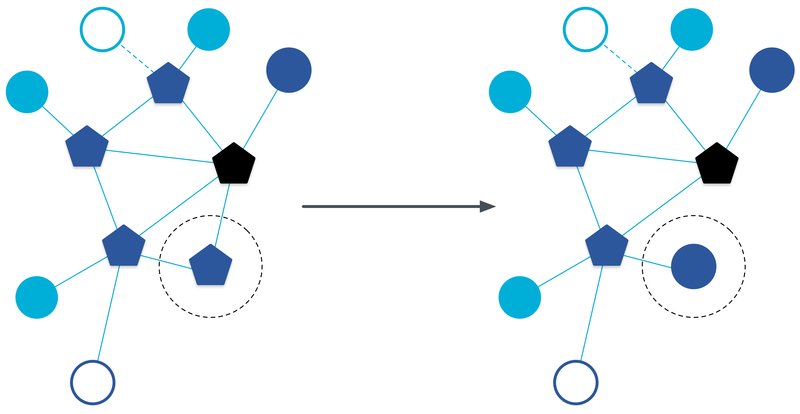 Physical radio connectivity defines partitions within that Thread network. Note that the use of "Thread network" in this primer assumes a single partition. Where necessary, key concepts and examples are clarified with the term "partition." Partitions are covered in-depth later in this primer. 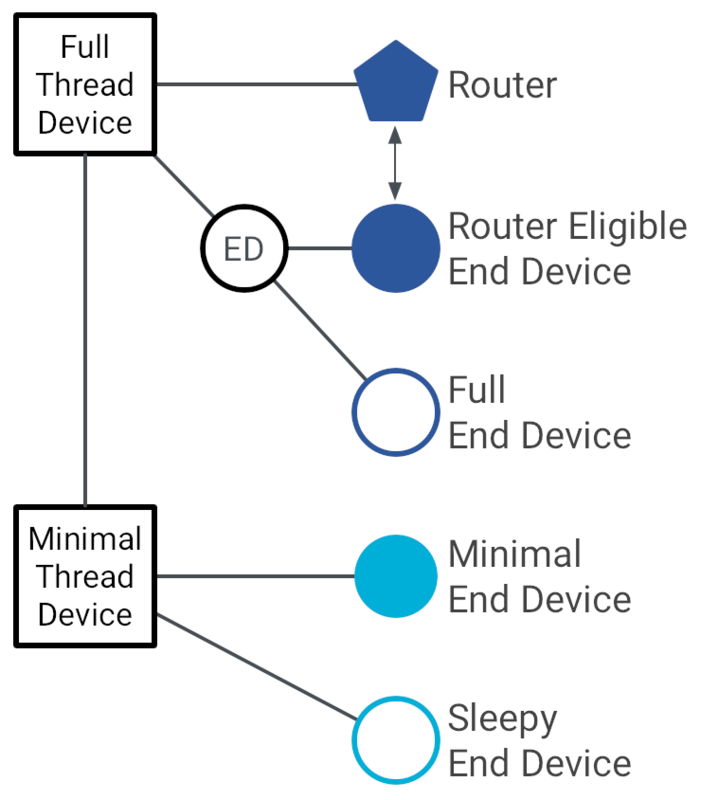 There are limits to the number of device types a single Thread network supports. Thread tries to keep the number of Routers between 16 and 23. If a REED attaches as an End Device and the number of Routers in the network is below 16, it automatically promotes itself to a Router.